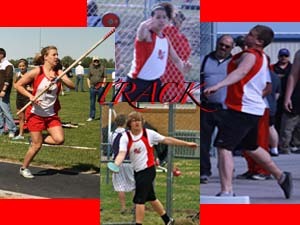 Wow..Since August of 2007 I have been taking care of the Athletics page. I started my Sophomore year and the next two years flew by. I've written about the good, and I've written about the bad. But I learned one thing over the years. Rocket sports are incredible. Its been a thrill to follow our teams and write about their performances, even the ones I took part in. Though the hardest articles are the final ones. So this is my final goodbye. Three years of work, three years of being a webmaster, and three years of grammer mistakes and misspellings. It has been fun. I'm sure my successor will pick up right were I left off, and the Rocket sports nation will continue to read. 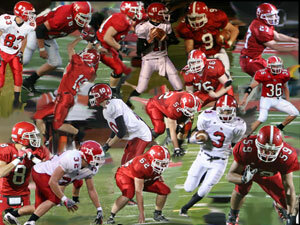 I will miss Rose Hill High School, and I will miss playing football and basketball in the Red and White. But I've learned a lot over the years and RHHS will always hold a place in my heart. I would like to give a thanks to Coach Wright who taught me everthing about being a webmaster over the years. Next year I plan to attend Southwestern College to play basketball and major in History/Secondary Education. Since January 2009 I have brought the individual sports pages back to life. 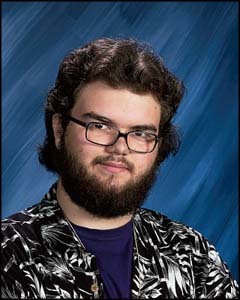 As only a computer applications guy, I had the tough task of replacing one of the premier seniors in Charles Smith, as he was graduating early. It didn’t take long before I had grasped the concept of replacing new scores and photo galleries with the old ones. I thought it to be very simple at first but soon learned it was pretty rough. I give all the credit to Mr. Wright because without his help and determination, I would have never been able to accomplish this much as your web master. I’ve enjoyed bringing you the new scores and pictures everyone loves to look at over the last year and a half. Next year I will be attending Bethany College to play baseball and I intend on majoring in Chemistry. Well, my work here is done. For the last 2 years I have worked on just about every one of USD 394's web sites, from Primary all the way up to High school. My first project as a webmaster was to help with the redesign and move of the Middle school web site, and ever since I've been fixing all the mistakes I made two years ago. A lot of time has been spent fixing spellings and updating that nifty little Spry bar over there on the left. Turns out we get to update every single page with it individually. I can't even count the number of times a program has crashed or frozen on us. But it's been fun, and I've learn a whole lot about web sites and design, and just how hard it can be to keep a web site up to date. Everyday something new must be added or fixed, and I never realized how busy this school was until I had to start typing out all the weekly calendars. So here it is, in a few moments I'll upload my last update to the server and I'll pass my job on to the upcoming webmasters. Whoever replaces me, here is some advice: bring music, it will help keep your mind off the endless typing, and pardon any dust I left behind. Next year I'm off to Wichita State University to major in Psychology, and hopefully help them clean up their web site. The entire Rose Hill Rocket Track team had a fantastic season. With guidance from only four seniors this year, the underclassmen had to step up their level of competition. Being a young team however did not faze the Rockets. This was proven when Rose Hill had the honor of having three boys qualify for the 2010 State Tournament. Senior Chris Paddock in discus, Sophomore Austin Shaffer in the 400 meter dash, and Freshmen Colton Mays in high jump, who gave it their all at state. Congratulations to the three of them for a magnificent end to their season. The four seniors this year consisted of: Chris Paddock, Stew Firebaugh, Amanda Travis, and Nicole Appel. The leadership that each one brought to the team will be hard to replace. After placing second in the league with a winning record of 15-5 the Lady Rockets headed into the 2010 4A Softball Regionals. With great intensity the Rockets started off the Regionals with a well earned 4-1 victory against the Wellington Crusaders. After winning against the Crusaders, the Lady Rockets moved on to play their rivals, the Mulvane Wildcats, in the championship game. The game was a hard fought battle by both teams, with no runs scored for six innings. However, with a defensive error and an amazing clutch hit the Mulvane Wildcats won the game 1-0. This heartbreaking loss concluded the Rose Hill Rockets softball season. The Lady Rockets will lose 7 talented seniors: Randi Lucas, Courtney Rash, Jordan Rehm, Alyssa Drosselmeyer, Abby Showalter, Molly Baker, and Kayli McDiffett. All 7 girls brought a unique aspect to the team and will be greatly missed in next years season. As for this year, they all played well and should be very proud of what they have accomplished. 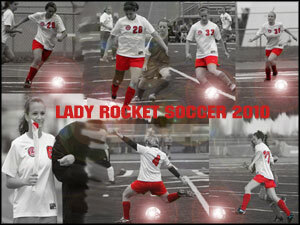 The Lady Rocket Soccer team really improved in the 2010 season. Having a fairly young team, the Rockets matured as a unit and it showed as they won 7 of their last 8 games. Staying healthy and injury free however was a challenge for the Rockets. Just as they regained Olivia Hull, Mikayla Fisher had to sit the rest of the season with a knee injury. Working through it, the Rockets battled to the very end where unfortuneatly a penalty shootout would decide their season. The Seniors continued their dedication and their final season was memorable. Finishing 12-5-1 the Rockets have nothing to hang their heads about. The younger players must fill the shoes of the graduates for the Rockets to be successful in the 2011 season. 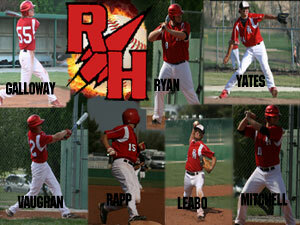 The Rose Hill Rocket baseball team entered their 2010 4A regional with a 14-6 overall record. Placing them as a 2 seed they would take on the 7th seeded Orioles of Augusta. With the season on the line, the Rockets struggled early. Unable to do much of anything, the Orioles kept the Rockets scoreless through 3 innings. Digging a hole early, the Rockets trailed by 5 runs most of the game, before a run in the 4th inning gave the Rockets some hope. with a 1-5 score heading into their final at bat, the Rockets needed to come up huge at the plate. Rallying for just a single run, the Rockets saw their season come to a close in a 5-2 loss. 4 errors were committed in the loss as the Rockets were also on the bad end of 13 strikeouts. However their season ended sooner than the team had hoped, their season was not a failure. Ending with a 14-7 record, the Rockets will just re-fuel and keep working hard in the off season to continue the baseball team's recent success. The seniors consisting of: Clint Galloway, TJ Ryan, Josh Yates, Corey Vaughan, Dillon Rapp, Jordan Leabo, and Garrett Mitchell left their mark on the younger players coming through and their leadership will be greatly missed. 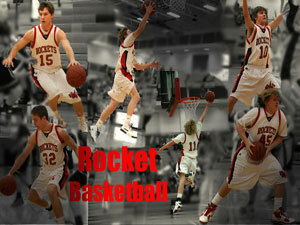 The Rocket Basketball team came into the 2009-2010 season staring 0-2. With losses to both Augusta and Cheney, many people doubted the team. But after falling 0-2 the Rockets had 8 straight victories and was the league leader halfway through the season. The turn-around sparked the Rockets through the Halstead Aldoph Rupp tournament, but their streak would end at 8 as they fell to Halstead and then Moundridge in the 3rd place game. Hitting a tough part of their schedule in the midseason, the Rockets lost 4 of their 5 games before they continued back in league play. The Rockets controlled the AVCTL Div. IV for most of the year and would finish the season 8-2 in league, rewarding them as the league champions. The Rockets then headed into Sub-State as a 3 seed holding a 12-8 record. After taking care of El Dorado in the first round, the Rockets faced the Orioles of Augusta. 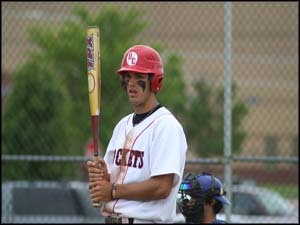 The Rockets, having lost to the Orioles twice in the regular season, were prepared and ready to take care of business. In a hard fought defensive battle, the Rockets shut down the Orioles inside game and went on to win 47-39 and would advance to the Sub-State finals against the Circle T-birds. In the finals, the Rockets came out hot from the field, but their shooting would then go cold as they lost their lead and fell to the Thunderbirds in a heartbreaking loss. The Rockets had a great season finishing with a 14-9 record. The Senior's played a vital role in the Rockets success and their leadership will be missed next season. 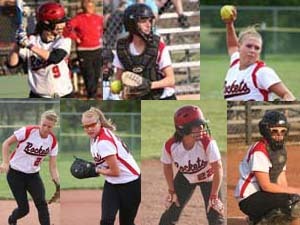 The Lady Rockets, which returned three starters from last years state team, were a team which opponents feared. However, the Rockets needed to figure out a way to mesh with each other and pull all the ingredients together. Starting off hot, the Rockets started the season 7-2, but their tough mid season tournament would give the Rockets an idea of where they were. Winning 2 out of their 6 mid-season games, the Rockets hit a slump before starting back up the second half of league play. Winning five straight league games, the Rockets clinched the league title after a big win over the Circle Thunderbirds. Heading into sub-state, the Rockets won 6 of their last 7 games. The Rockets held the second seed in sub-state and would beat Maize South handily in the first round. However the second round would not go as planned as Wellington pulled the unthinkable and upset the Rockets 45-48. The season would come to an end much shorter than the Rockets had hoped but their season was not a failure. Finishing 15-8 and AVCTL Div. IV champions, the Rockets have a lot to remember, and will be driven next year to make up for what was lost. Seniors Whitney Bates, Randi Lucas, Courtney Rash, and Amanda Travis will be missed as they contributed greatly to the team. The Rocket Wrestling team put forth a tremendous amount of effort in the 2009-2010 season, and it paid off as they took second place in the AVCTL Div. IV, behind a very tough Andale squad. The team sent to wrestlers to the state tournament in Salina, Senior Zac Sparr and Junior Travis Belnap. 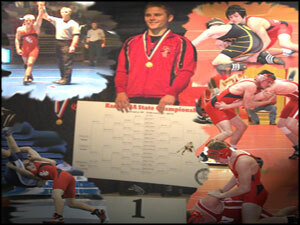 Among the wrestlers, Zac Sparr was the only Senior. 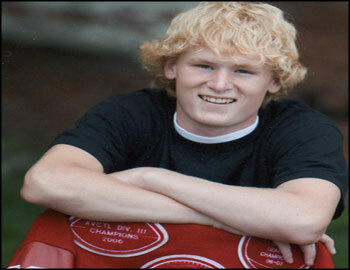 His leadership and determination helped set a good example for the younger wrestlers on the team. With five sophomores and six juniors, the Rockets needed a leader to help them to a 4-4 dual record, a large improvement from last year's 1-4 record. Belnap and Sparr would qualify for State by taking care of business in Regional's. At the State tournament, Belnap would lose his first match in overtime and would be eliminated after his second match. 119 lb. Zac Sparr would go on to dominate the tournament as he worked his way to the final match. Sparr's career would come to a much hoped for State champion as he defeated Denzell Davis from Fort Scott. "My Career is officially a success." The Rockets will have to fill Sparr's shoes in the 2010-2011 season, as the Rockets hope to improve even more. The Rocket Football team had a turn around season and ultimately brought back Rose Hill's name in the football category. After starting the season off 4-0, the Rockets would be put to the test against the number one ranked Andale Indians. 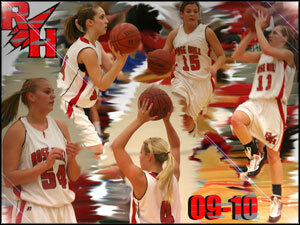 Despite a few Rocket turnovers, Rose Hill kept in the game but would eventually fall in a close 15-26 loss. The Rockets had what it took to be a very powerful team and they used their vast array of weapons to give defense's trouble. The Rockets played strong defensively all year, holding teams scoreless in 4 games. The Rockets rolled through their districts with great wins over Andover Central and Mulvane. After being held out of the playoffs the previous season, the team had something to prove. The Rockets fired into Bi-Districts prepared with a 45-0 win over Augusta. The Rockets best win of the season would come against number 5 ranked Abilene. The Rockets took it to the Cowboys in a 24-8 fashion and would be named Regional Champions, advancing them to the State Quarterfinals. In the Sectional match-up against Buhler, the Rockets didn't have what it took as Buhler was on top of the game the whole night ending the Rockets dreams with a 64-28 victory. The Rockets played well as a team the entire year and the great group of Seniors will be missed in the following season. 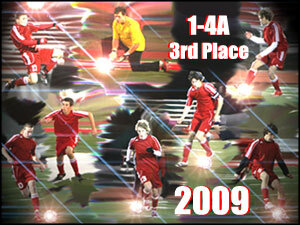 The Rocket Soccer team finished the 2009 season with a victory and a 3rd place finish at the state tournament. Sure it was not the State championship they all had hoped for, but in the end they have nothing to hang their heads over. The Rockets finished the season with a 17-2 record with their only losses coming from Berean Academy in the second game of the season, and the heart shattering loss against Lenexa St. James in the semifinal shootout. The Rockets capped memorable victories against a powerful Trinity squad and they managed huge wins in the post season against TMP and Nickerson. The Rockets showed dominance over teams and their team chemistry and connection helped overpower teams through out the season. The Rockets were led offensively by Seniors Josh Aubuchon and Ramsey Khalidi who controlled the ball and helped spark the Rockets with numerous goals and assists. The defense was the difference maker this season, as only 12 goals were scored on the Rockets all season. The Rockets held teams scoreless in 10 games and caused havoc for opposing offenses. The seniors had a tremendous final season and their shoes will be tough to fill next season. The Rocket Volleyball team had an outstanding season as they did something Rose Hill volleyball had not done in many years, which was to qualify for the state tournament. It would not be an easy road as the Rockets opened up the season with a big highlighted win over top ranked Cheney. Gaining respect, the Rockets carried their momentum all the way through the season with big wins over Circle and Buhler. The Ladies would be named champions at the Clearwater Tournament and the Rockets were on a roll. Sub-State came around as the Rockets swept through the tournament and captured the biggest win of the season in the sub-state finals against El Dorado, earning the Rockets a berth at the state tournament in Salina. A big Rocket goal was accomplished, but their hopes and dreams at the State title seemed even closer. Heading to Salina, the Rockets battled and fought, and proved their right to be with the top teams. However, their run at the title fell short losing their first 3 matches against powerful schools. The seniors had a tremendous final year as a Rocket, finishing with a overall record of 31-10. The Rockets will graduate many crucial positions and the underclassmen must take what they learned this year and apply it to the court next year for the Rockets to have another successful season. 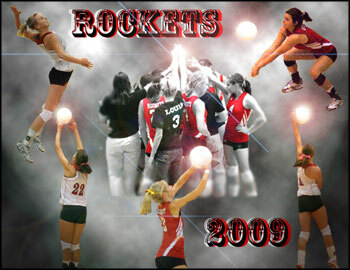 Congratulations to the 2009 Rocket Volleyball team on a great year! 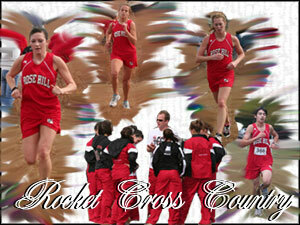 The Rocket Cross Country team had a great year overall especially on the women's side. The guys struggled however, due to their inexperience and young roster. Taylor Carlson led the Lady Rockets through out the season as she ultimately took 9th in the 1-4A state meet. Along with Carlson, a First Team All-League runner, Paige Downing and Jenny Nutsch were named to the All-League second team roster. The Rockets had a strong season, but came up just shy of qualifying as a team for the State meet. It was a disappointment as the ladies wanted nothing more than to return to State as they did the previous year in 2006. The boys team consisted of Evan Bradley, Bo Baldridge, and Neil Flowers. Bradley ran a great league race, earning him the respect as an All League 2nd team runner. Bradley must lead the charge next year as the Rockets should improve and mature during the off season.